Being beautiful is every girl's dream, isn't it? ❤ And Omorose hears your wish, girls! 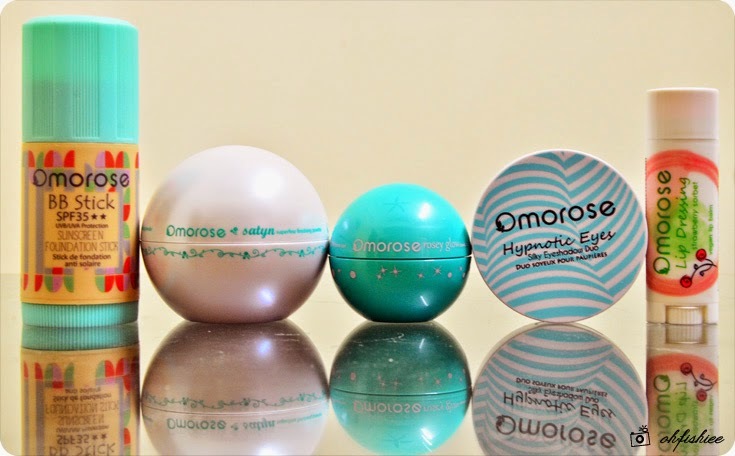 Omorose, meaning "Beautiful" in ancient Egyptian has launched a full range of makeup products from your face to eyes and lips just a year ago. 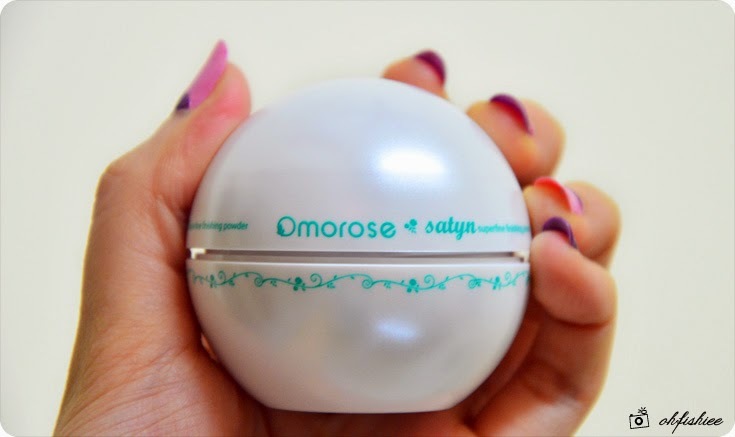 Honestly, I have not heard of this brand, but it's great to know that Omorose is a cruelty-free brand, all Omorose products are not tested on animals! Plus, they use only natural preservatives where necessary, NO parabens and phenoxyethanol at all. I'm impressed, well I mean how many brands nowadays still care so much about Earth, and I'm glad that Omorose does a great job! 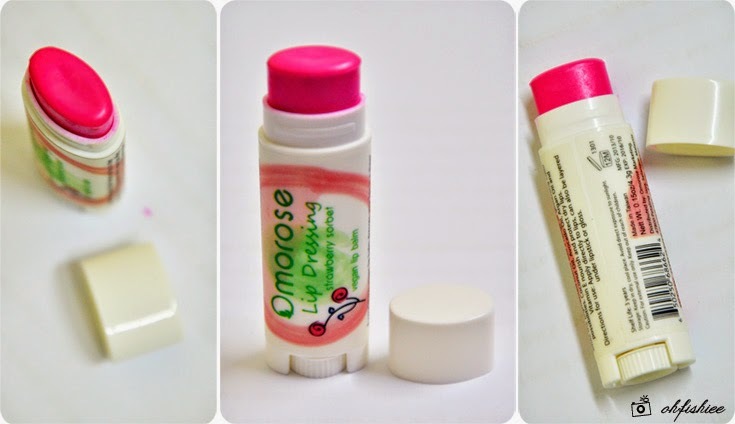 All Omorose products are made in Taiwan, with an average shelf life of 3 years. Now let's try them out! 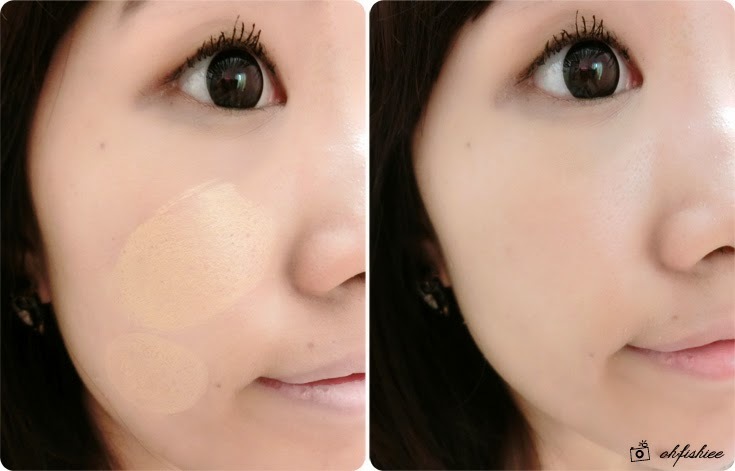 Omorose BB Stick SPF35++ - Sunscreen Foundation Stick in "Light & Fair"
For the fair Asian shade I pick, it is perfect for full coverage and quick touch-up. This lightweight foundation is able to stay onto the skin for long hours with good hydrating and sun protecting properties. The application is pretty easy-- Just stroke it lightly on the face. I find that the texture is quite fine and it can cover the imperfections well. But make sure you blend it well, to create the glowing, ethereal look. Omorose Satyn - Superfine Finishing Powder in "Diamond"
For more long-lasting and matte coverage, I prefer setting the foundation with a touch of powder. And nothing beats the satin-smooth finish of this colourless powder that is formulated with Diamond Powder Lumiere. 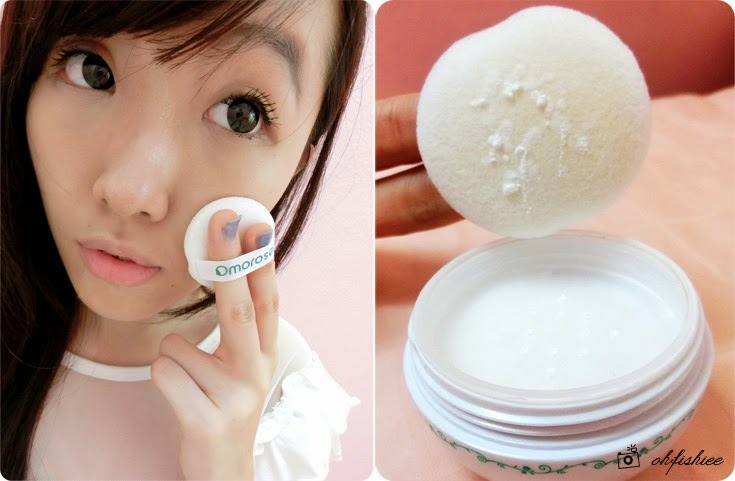 If you feel like going without makeup today, just press the puff lightly onto the skin and you'll be surprised with the soft radiant effect! Plus, the shimmery "Diamond" shade is universal as it matches all skin tones. SO CUTE RIGHT! It looks like those "eggs" from the vending machine I used to collect as a kid. Omorose Hypnotic Eyes - Silky Eyeshadow Duo in "Come To Bed"
Omorose eyeshadows come in two matching hues coupled with a mirrored compact. Good for easy blending especially for newbies! Not forgetting the added Vitamin E to help prevent aging. The rich pigmented eyeshadow can be easily glided using brush or finger. 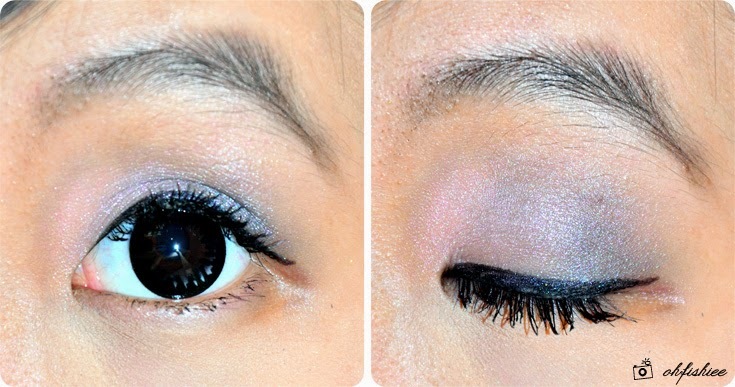 Love the shimmers of the purple hue that adds an electrifying effect onto the eyes! Long-lasting, crease and fade resistant too. 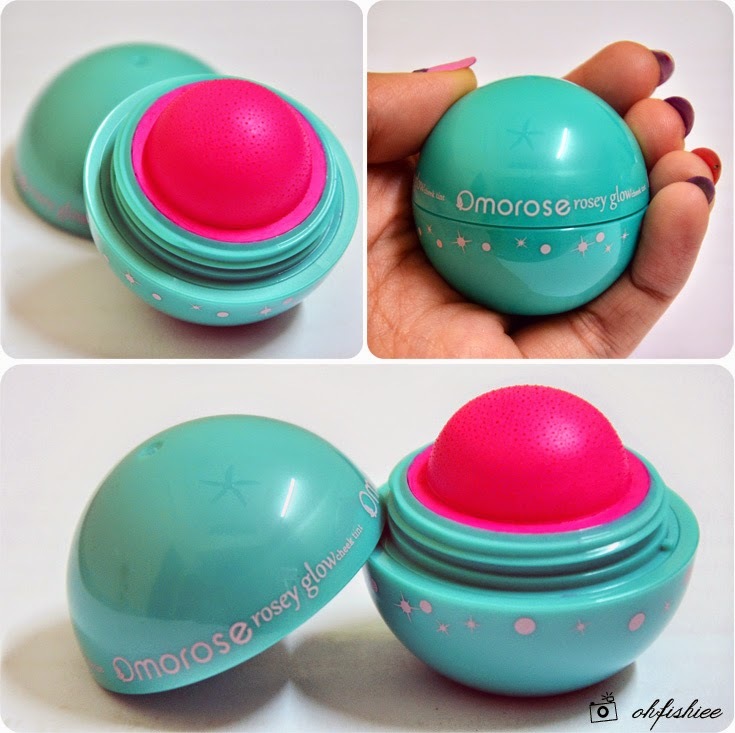 Omorose Lip Dressing - Vegan Lip Balm in "Strawberry Sorbet"
Rich in coconut oil, avocado oil, argan oil and Vitamin E, the 2-in-1 lip balm is amazing too--- It not only nourishes and protects dry lips well, but also contains highly pigmented shade that adds a hint of matte colour to the lips. It smells so lovely like a strawberry too. Don't forget to add a layer of gloss for the shiny finish! 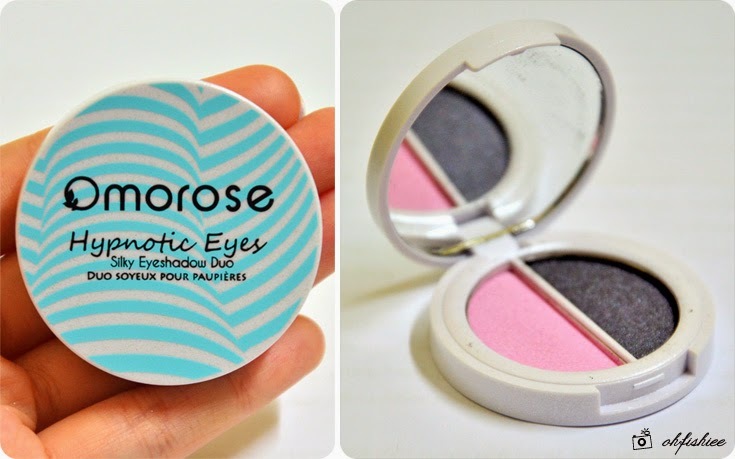 Omorose Rosey Glow - Cheek Tint in "Pretty Jessica"
Have you ever seen such a cute blusher?? This hydrating gel blush is so highly pigmented that one touch onto the cheek is sufficient to create the healthy, natural glow. So easy to use! It's only RM328 for the 5-step makeup products, indeed worth every penny you spend!! 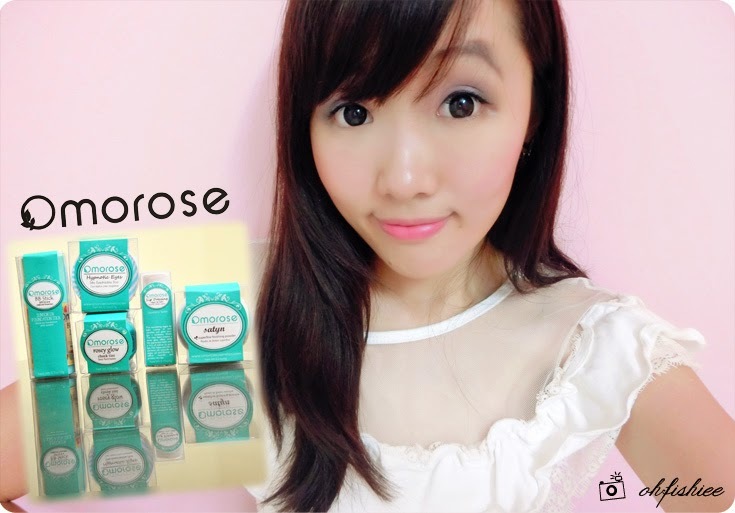 Thank you Omorose for keeping my makeup fresh and silky smooth all day long! 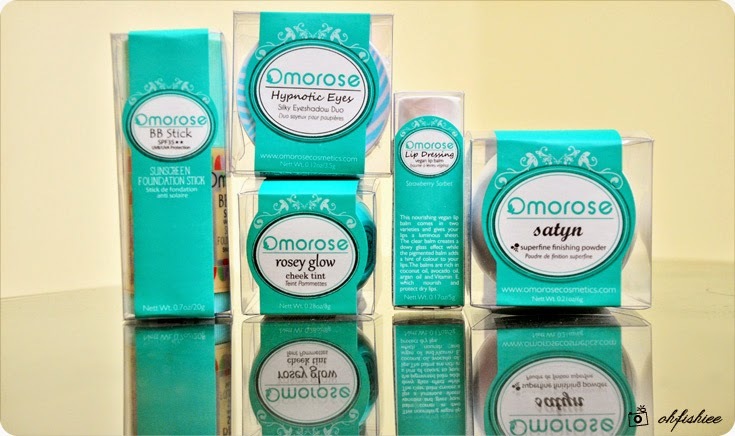 Visit www.omorosecosmetics.com or facebook.com/omorosecosmetics for full range of products! the product concepts are super cute! Hi. I want to let go my finishing powder at rm 50. Do reply if you're interested. I only used it a couple of times. Do u still have it? May I know the reason for u to selling it back to another person?